Flatliners Pest Control of Las Vegas is the company to call for lawn and outdoor pest control. Keeping your yard beautiful and your pets safe requires more than a bit of yard work and a sturdy fence. Bugs and pests can destroy plants and threaten the health of your animals. Garden pests can wreak havoc with your landscape and vegetable plants. These critters make it difficult to enjoy your own lawn and yard. Parks and swimming pool areas are also susceptible to bug invasion. Birds, mice and rats carry diseases and are destructive and messy. Rodents are notoriously good climbers and quick runners making it difficult to trap them. You’ve invested time and money into your outdoor spaces. Let us help you enjoy them again. Some species of insects frequently reside in dog runs and patio areas so that even your pets are at risk of being bitten, annoyed, or infested. Fleas and other insects and rodents carry diseases that can make your pets sick if bitten. Regular treatment of your home and yard by a Flatliners exterminator can prevent these troublesome pests and protect your pets. We are experts in identifying and eradicating any pests you might have lurking outside or inside your home or business. Our Arbor Care Program is designed to address weed management, as well as insect and disease control. We are familiar with all kinds of trees and shrubbery and how to prevent infestation or even eliminate disease, if necessary. At Flatliners Pest Control, we take pride in using products that are strong and effective. The products we use are environmentally friendly and are safe for children or pets. We strive to make your home and yard pest free and a healthy surrounding for you and your family and pets. 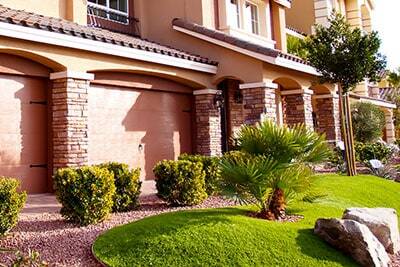 If you live in the Las Vegas or Henderson area, call us today. We would be happy to help you with lawn and outdoor pest control.